abundantly found in the marshy region of the park Sunderbans distinctive geographical location makes it one of the most favorable ecological locations in the world. It is often compared to the Amazon Basin for its heterogeneity. Offering abundant of eco activities like Wildlife Viewing, Backwater Cruising, Bird Watching and Tiger Trailing; Sunderbans is set to fill your nostalgic album with lots of fond memories. Apart from that the rich greenery, exquisite flora and plenteous wild animals of this national park unbinds lot of suspense for its guests. Spread across 1,330 sq kilometers of swamp and mangrove forests, Sunderbans is a true paradise for the nature lovers. 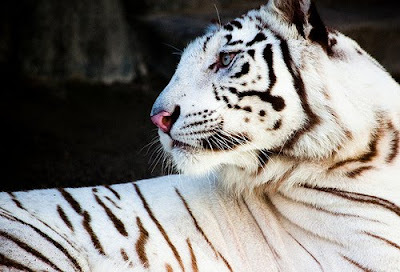 The park is a home to the world famous Royal Bengal Tigers, aquatic mammals, birds and reptiles. Sunderbans encompasses both land and water, on the northern side it is bounded by three islands namely Goasaba, Sandeshkali and Basanti; while on the south it is fed by the sea (Bay of Bengal). The greatest thrill of visiting the Sunderbans National Park is being able to stay right within it at Sundar Chital Tourist Lodge. On the one hand you feel completely safe and relaxed at your room, but at the same time you shudder of being the next-door neighbor of the Tiger that is well known for its astuteness and agility. The Sunderbans National Park contains the rich and wide variety of floral species. Among its most prominent attractions are the mangrove scrub, salt water mixed forest, littoral forest, brackish water forest and swamp forest. Trees such as Genwa, Dhundal, Passur, Garjan, Kankra and Goran are commonly found in the park. easily spotted in the park. Sundarbans is best approached via the river. Motor launch facilitiy are available from Namkhana - Bhagabatpur Crocodile Project- Sagar Island -Jambudwip; from Sajnekhali - Sudhanyakhali-Buridabri- Netidhopan-Holiday Island; from Sonakhali - Gosaba; from Raidighi - Kalas. Suderban is the most popular forest in India there are more tigers and it is the one of Natural ban.